Your logo design. Your calling card. Your advertising and marketing. They’re all a representation of you and your business. When correctly created, they communicate to your staff members as well as your current and potential customers that your business is trustworthy, reliable and professional. Your company image depends upon a logo style that is unique but at the same time represents what your business is about. Your logo design is the keystone of your brand name. Just imagine yourself handing out your business card. Do you want people to just take it and not take even give it a simple glance? Imagine, if you’re logo design can easily capture your client’s attention, you would feel a sense of satisfaction. This way you know that every little thing your service represents has been completely understood in just a short time. Congratulations, you have made an enduring impact. You intend to have an effective company which means you cannot accept an improperly created logo design. Great logo design artists are not just able to develop a logo, they will also see to it that your logo design stands out from your competition. For that reason you need a local graphics person that understands local business requirements. Unlimited Printing & Signs in North Myrtle Beach has a graphics artist on staff that can assist with the design of your logo and help you select the right colors, font and typeset to help your business standout. Logo design developers comprehend the significance of a company logo design. They understand that developing a logo design means the success of a company depends on it. There is purpose as well as specific idea that enter into making a logo design that stands for a business and the image it wants to represent. Logo design developing is more than simply picking the appropriate color of a logo design. In fact, it has everything to do with creating an image that represents your specific business. Many business search online to get help with their Myrtle Beach logo design and print advertising. However, keep in mind that these sources do not always understand the needs to the business environment in North Myrtle Beach. Graphic artists are of fantastic value to any kind of service as they can help develop logo designs with an effective influence and reach. Excellent logo design developers recognize ways to show the significance of an organization in a single image. They understand that a strong logo style acts a business’s identification. If you are in the process of developing a logo for you business in the Myrtle Beach area then now is the time to contact Unlimited Printing & Signs in North Myrtle for help with the design. We are here to help you with all your business printing needs from logo design to full color brochures. Many professional graphic designers may have experienced different scenarios in their career. Oftentimes, their work is underestimated in local business. In cases of an economic downturn, the graphic design and advertising team is often the first ones to be let go. 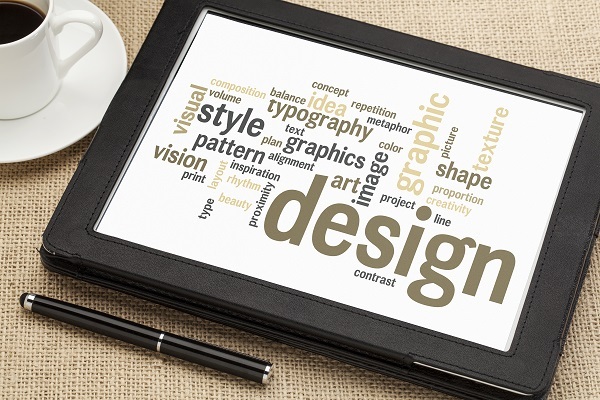 In fact, only a few small businesses give importance to graphic design, but why? It is understandable that local business proprietors often operate on restricted budgets and yet they also want to have a stunning internet site, smart logo design, as well as engaging advertising and marketing strategy. But with all these requirements, they’re still not willing to pay professional rate to obtain them. Rather, they ask a worker without ample training– typically an administrative assistant that wears several hats– to attempt their hand at Do It Yourself layout or begin browsing the internet for “more affordable” choices. In either case, a business owner is most likely not going to be satisfied with the outcome. Whether it’s a direct mail campaign or the logo design in an e-mail trademark, possible consumers will evaluate a company in a couple of seconds based upon visual appeal alone. Despite how great a service or product, with an inadequate layout, it’s not likely any prospective customer will read its direct mail piece or give time to read its e-mail. Always remember that you just have one chance to make a first impression, better make it last. Powerful graphic design supplies branding uniformity throughout every aesthetic, customer-centric element of a company. Professional graphic artists will certainly utilize specific shades, fonts, images, and also a state of mind for whatever they put their expertise into. By doing this, consumers have the exact same experience going to a firm’s website as they review its brochure. Consider it as a type of branding — it helps business be well-known as well as remarkable. One more thing, uniformity signifies professionalism and trust, and also expertise signifies dependability where everybody wins. It is necessary that individuals obtain a feeling for just what a service does even if they have never been aware of the business in the past. This is where graphic design comes in, thoughtful layout stimulates the best picture in consumers’ minds. The concept delivered for a childcare facility would be completely different from that of a law practice. That’s a significant difference; however, it applies in even more subtle aspects of your advertising also. The logos you see in different brands often tell the story of the company’s roots and how it began. There is magic in images, colors, and texts. Graphic designers make sure that these elements blend together to form a meaningful message and that is brand awareness. Have you looked at your logo today? We’d like to help you make it more memorable. Stop into our new location to discuss your graphic design needs. If you’ve ever worked with a design firm on a printed brochure or marketing collateral, it may seem like they’re speaking a foreign language. The print design world consists of many words and phrases that are unknown to the local business owner. However if you don’t comprehend the basic terminology, you could end with a printed piece that does not look the way you desire. Worse, it might cause the feared (and costly) reprint procedure – an outcome no one desires. To assist in making certain your print jobs come out right the first time, here’s a basic glossary of crucial print design terms. Bleed. Print design experts refer bleed as a design element that extends past the edge of the paper. Graphic designers indicate a bleed by setting up the document with a bleed mark, typically determining 0.125 inches past the trim area of the last printed piece. CMYK. Represents the ink combination most typically used in 4-color process or digital printing: cyan (blue), magenta, yellow and black (represented by the “K”). Images on print documents are printed in CMYK and must be converted from other color formats to CMYK prior to printing, unless it is a low-Pantone color run. Pantone colors. Also referred to as Pantone Color Matching System (PMS), these consist of a set of universally accepted colors that every printer in the world can reproduce. Each Pantone color comes with RGB, CMYK, hexadecimal and Pantone color codes. Using these codes assists produce color consistency throughout digital and print business branding materials. Crop marks. Printers typically fit several print pieces into one big sheet of paper. Crop marks suggest where the printer needs to make cuts to the last printed piece. They are likewise utilized to cut and separate the excess paper and other prints. Digital printing. Likewise called 4-color procedure printing, digital printing is particularly for CMYK color. It is most cost-efficient for smaller amounts (for example 200 up to 1,000 pieces), as it requires less prep work for the printer. Finish. This refers to the surface area quality of the paper used for the printed piece. Various kinds of paper have different surfaces, such as matte, appeal, glossy or textured surface. Typically utilized finishes consist of glossy and matte. Balanced out printing. 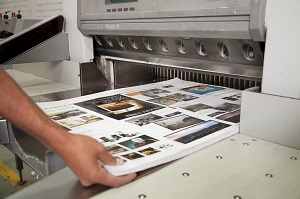 Offset printing is typically utilized for bigger print jobs of 1,000 pieces and up. The printer establishes a different plate for each color, and runs every print through each color plate to develop the last printed piece. This requires more setup on the part of the printer. However it allows both Pantone colors and CMYK to be utilized on the press, and allows for larger initial runs along with re-prints for larger jobs. PPI/DPI. PPI simply means “pixels per inch”; DPI represents “dots per inch.” Both are used to communicate to a printing device the resolution of images, and since they refer to the same measurement and can be used reciprocally. There are two basic PPI measurements, with 72ppi referring to the best resolution for a computer monitor, and 300ppi referring the best resolution for printed output. Print file images should be at 300ppi prior to sending out to print; otherwise they will look pixilated and blurry. If 300ppi images are printing blurred, it means they are too few pixels for the image print location, and a larger image is needed. Making the image larger in Photoshop will not fix the pixilation issue. RGB. RGB is an acronym for “red, green and blue” – the colors that comprise all the color mixes seen on a computer screen. Images and documents set for screen viewing are typically in RGB. In order to utilize the images for print, they must be transformed to CMYK in Photoshop. It likewise assists to make sure they’re at 300ppi, as images taken from the Internet are typically set to 72ppi and may not be large sufficient to print. Proof. After prepping the last design files, the printer sets up a printing proof, which is typically a digital file in PDF format. Reviewing a print sample is necessary for determining any design or content-related issues prior to the piece being sent out to press. As soon as you authorize a proof, you cannot make anymore modifications. The very best method to examine the digital evidence file (if it’s a PDF) is to open it and view it carefully in Adobe Acrobat. Do not print it for evaluation on your office or home computer system, as these printers use different inks and not up to par with expert printers. Viewing the proof on a computer system screen is the closest you can get to the actual end product. Any differences will be minimal. If your graphic designer uses a term you do not comprehend, always request an explanation. Both of you and your finished print piece will take advantage of a much better understanding of basic print design terms. Contact UPS Printing for all your design needs. A debate has evolved of the last decade over the value of conventional print media; do we really need print and print designers in a world significantly controlled by all things online? Although I can’t offer a definitive answer to this what I can say is this; in the time of our grandparents radio was the main medium of home entertainment but when the TV came along individuals quickly started to believe radio was on its way out yet decades later radio is still going strong. The premise is easy; simply because something new has come along doesn’t necessarily mean that our traditional ways need to go. For this very reason, even in this day of Facebook marketing, email campaigns and Twitter trending, for numerous companies the need for and the level of success acquired by print marketing techniques cannot be ignored. Although print may not work for every size business or be thought about as a viable marketing investment especially with the lack of the ability to track return on investment and the analytics might consider it unreliable; for many companies the ideal print product is important to a total marketing campaign. From brochures to item catalogs to direct mail; both large name brand corporations, small businesses. Retailers and even the brand-new SME‘s are openly accepting print marketing. From the start of the project with design to the print procedure however, it is very important to guarantee that you deal with the best group of print professionals. Just like online marketing, print design needs experience, ability and understanding which cannot be so quickly accomplished without a skilled agency but how do you know you have made the right option? Whether new to print design or considering changing from your existing choice of printing company; the below suggestions may assist you to get a better understanding of simply what makes an excellent print company. Credibility– If there is something we can be specific about, it is that in today’s instantly linked world absolutely nothing remains secret for long, particularly a mistake which is why it is very important to investigate your selected firm’s credibility. Errors, poor service and a lack of skill will not remain hidden so do anyone doing a little digging. There are a variety of print design companies whose track records speak volume so ask to look at the kind of projects they have completed in the past, the number of and kind of business customers, the capability and the quality of the work that has been produced, you might even ask for customer references and follow up by asking for them to give you real insight into the firm. A good reputation says everything and if you discover a commercial printer that has one; it will certainly work in your favor. Age– They say that age is however a number however, in the business world it is so much more. The longer a company has actually been around the more effective it will be, after-all with competitors increasing, just coming out of an economic downturn and small businesses far less likely to spend on marketing; a company that has stood the test of time is no doubt one that has actually produced quality work, offered unquestionable service and helped various companies to accomplish results. Ask your selected print design agency about the number of years they have actually be in the print business, the number of customers and obviously customer turnover in those years to assess a good insight into how they work. Portfolio– With a lot of design firms competing for your attention and determined to obtain your company business you need to be aware of ways to compare those who can talk the talk and those who can walk the walk. No design agency should shy away from flaunting a portfolio of previous work as well as produce a sample in order to reveal top you just what they can do. Getting a mutual understanding of the skill and capacity of the firm is a great way to identify whether they are a best suitable for you. Whatever the size of your business, there is no reason print ought to be eliminated from your marketing techniques, you just need the best firm to make it all work – from print design to complete full color printing! UPS Printing, Marketing and Design is here to help you not only with the printing of your marketing materials but also the design. We offer full print design services for any size project. Call us today to schedule a convenient time to discuss your marketing project.